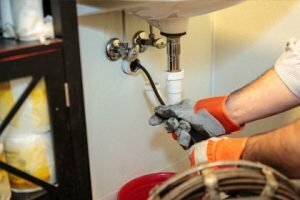 Kitchen Drain Cleaning in Edmonton | J.W. Brian Mechanical Ltd. Kitchen drain taking 3 hours to drain !? When you shower does water rise above your ankles before your done ?! J.W. Brian Mechanical provides drain cleaning services for kitchen drains and a variety of other fixtures and drains in your home or business, including bathtub drains, basin drains, laundry drains and floor drains. JW Brian Mechanical does not use chemical cleaners as they are harmful to the environment. We only physically remove clogs using power snakes, a environmentally friendly method. © 2010 – 2019 J.W. Brian Mechanical Ltd.. All rights reserved.